It's no secret I like a good drink. 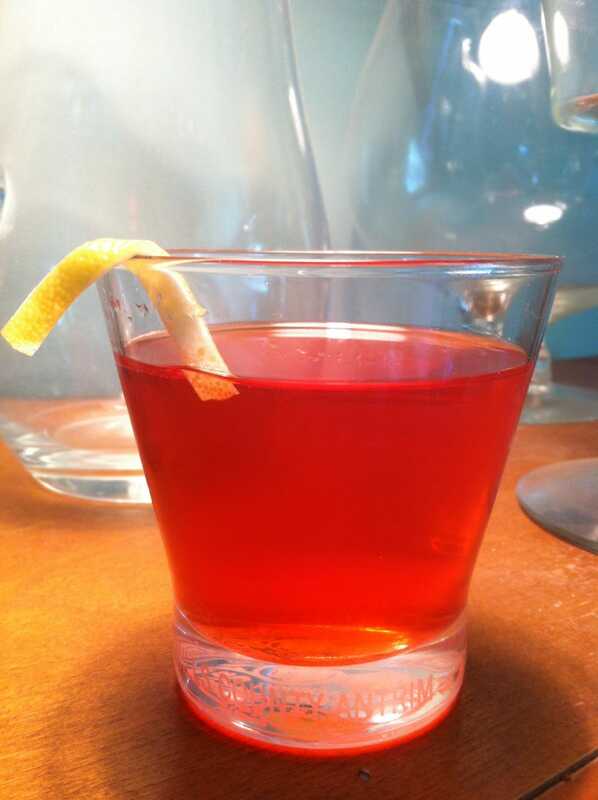 (That's a Sazerac from last summer's obsession.) The problem is, my brain seems to have learned that if one or two drinks are good, then blackout drunk is better. No, brain, no it's not. So while I share most characteristics of the classic Social Drinker in that I don't drink alone, I don't drink or wish to drink daily, and I basically don't miss it when it's gone, I veer off-course from responsible Social Drinking when I do drink. When I do drink, I drink a lot. I'm not an alcoholic (recent liver function blood tests back up this assertion), but I do have a disordered drinking pattern, for sure. And while my liver may be fine now, I have no question that the way that I drink is unhealthy. Either for my liver, or as a lead-in to alcoholism. After reading a fascinating and eye-opening article on the way we treat alcohol treatment in the United States versus Finland (in particular, but the European nations, in general) I became obsessed with determining if my brand of disordered drinking could be effectively curbed through modern chemistry. Sinclair theorized that if you could stop the endorphins from reaching their target, the brain's opiate receptors, you could gradually weaken the synapses, and the cravings would subside. To test this hypothesis, he administered opioid antagonists—drugs that block opiate receptors—to the specially bred alcohol-loving rats. He found that if the rats took the medication each time they were given alcohol, they gradually drank less and less. He published his findings in peer-reviewed journals beginning in the 1980s. I was diagnosed in early 2011 with Acute Idiopathic Transverse Myelitis (TM) after an MRI confirmed that I've got a roughly quarter-sized section of damage to the protective covering of my spinal cord, the myelin sheath. The damage causes vague and non-specific symptoms in the way my body recognizes nerve messages, ending in a fairly benign set of symptoms that have unfortunately rendered my dominant hand, the left, largely... unpredictable. Tremors, general numbness and light pain, that sort of thing. Some people on low-dose Naltrexone report lessening of symptoms and myelin repair. Naltrexone. I had to have it. And today, after a few visits with my doctor, and a thoroughly painless $37 (without any co-pay applied) I do. So, I started my Soberish tag, where I'll tag all of my random Naltrexone thoughts and observations. I've been fascinated by the idea that we're treating drinking problems wrong - that perhaps we can treat the disorder before it becomes a full-blown disease. So I'm happy to play guinea pig. And finally because I think it's necessary to add: I am in no way affiliated with the makers of Naltrexone (I take the generic) nor am I compensated in any way other than the deep irritation of having "Alcohol Abuse" as part of my permanent physician's record. :\ And of course the satisfaction of being a Pubmed guinea pig for your amusement. This is in no way to be taken as medical advice, as I am not a doctor, nor do I play one on the internet. And word to the wise: If you plan to speak to your doctor, or friends and family, about this.. plan to get some pushback, some mentions of "If you have a problem isn't it time to stop altogether..." etc. Stay vigilant. It's not on the FDA restricted list, it's approved for moderating OR quitting, and you might want to consider printing out more information so you have it in hand. Don't rely on your phone or your memory.